There will be nine outings of the Society. A time sheet will be in operation for all outings. This sheet will be available at The Schooner 3 days prior to outing date. No late entries will be accepted after this and the time sheet will be strictly adhered to. It is imperative that the "time sheet" for each outing is filled in as soon as possible in order for the Committee to ascertain the numbers attending the outing. Each course has been booked for a specific tee time and a specific duration. Should our requirements exceed the time allocated the Committee must know as early as possible in order to attempt to facilitate all wishing to play. 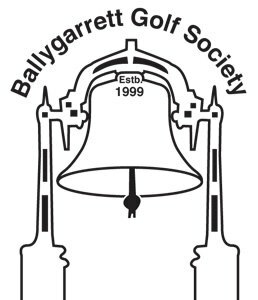 A special prize of "Golfer of the Year" will be awarded at the presentation night in October. This will be decided by the accumulation of points scored from the best result of seven outings including the Captain's outing. Society members will have priority over visitors on tee box due to the shortage of spaces available. In relation to qualifying to win the Captain's Prize members will be required to have played at least two season outings. In relation to qualifying to win the President's Prize members will be required to have played a minimum of two outings. A visitor's prize will be provided at each outing. Visitors will be charged the green fee on the day. The following clothing/footwear is prohibited on golf courses and in the clubhouses as requested by all the clubs: jeans, sleeveless shirts, singlets, tennis shoes, runners or trainer shoes. In order to ensure a sufficient number of prizes for the various outings it is proposed the sponsorship will be sought towards the provisions of prizes.